Le Grand Diplôme is composed of the Diplôme de Cuisine and Diplôme de Pâtisserie programmes. 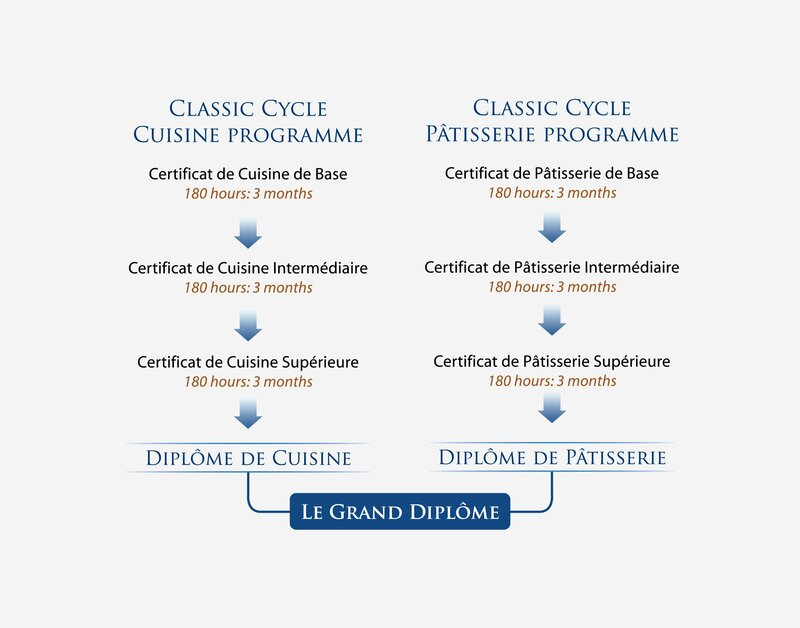 After successful completion of Basic, Intermediate and Superior level courses in both Cuisine and Pâtisserie (6 courses), students are eligible to be awarded Le Cordon Bleu Grand Diplôme – a highly acclaimed award and international passport to the culinary world. Students can choose to study cuisine or pâtisserie, or both simultaneously.